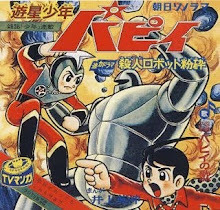 Manga artist Mitsuteru Yokoyama is best known for being the creator of TETSUJIN 28 (GIGANTOR). 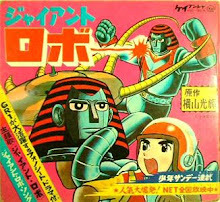 Familiar to fans for being the pioneer of the robot genre in Japan, he went on to illustrate other classics such as GIANT ROBO (JOHNNY SOKKO), MARS, and BABEL II. Like Sanpei Shurato (KAMUI and WATARI), Mitsuteru Yokoyama was a master of ninja based manga. 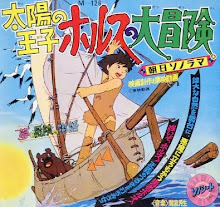 His first big hit was IGA NO KAGEMARU (KAGEMARU OF IGA). 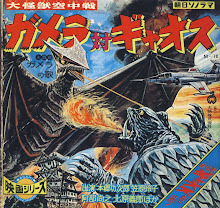 This manga appeared in Weekly Shonen Sunday magazine in 1961. IGA NO KAGEMARU boasts superior character designs, Kurosawa-like drama, and fast paced ninja action. 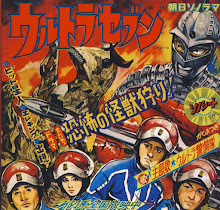 Serialized through 1966, IGA NO KAGEMARU, caught the interest of Toei, who produced a hit live action film faithful to the manga. 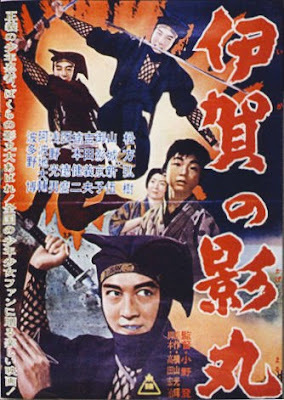 The cool ninja hero Kagemaru is played by Hiroki Matsukata (KAIRYU DAIKESSEN)(THE MAGIC SERPENT). 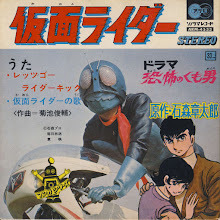 The 1963 feature opens with an animated version of Kagemaru riding his horse to the title song “Iga no Kagemaru”, sung by the Kamitakada Boys Choir. The story begins in 1582, where there has been a revolt in the Honno Temple and an assassination takes place. 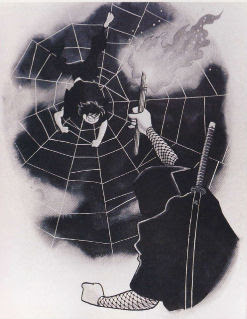 Lord Oda Nabunaga had been killed by Akechi Mitsuhide, who in turn occupies and takes over Kyoto. In order to take over Japan, he still needs to defeat two other leaders, Hashiba Hideyoshi and Tokugawa Ieyasu. Hideyoshi was in Chugoku attacking Tamamatsu Castle with his army, but Ieyasu was vacationing in Sakai. 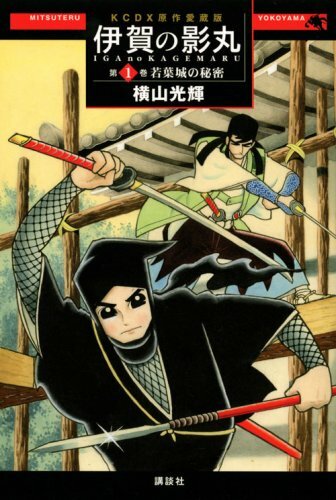 Ieyasu wants to return to his city Hamamatsu to escape danger, but Mitsuhide has his men stationed on all major roads. 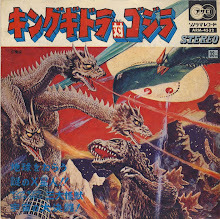 The only way out is to head north then cross the southern part of Kyoto to the land of Iga. Ieyasu hopes to get aid from an old ninja wise man, Momochi Sandayu of Iga. Unfortunately, Mitsuhide sends hired hands, the Koga Seven led by Amano Jaki, to arrive in Iga first to finish off it’s people, before they can give any aid to Ieyasu. 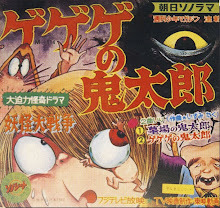 A young girl Ukyo helps Sandayu escape out of the village and into the woods. 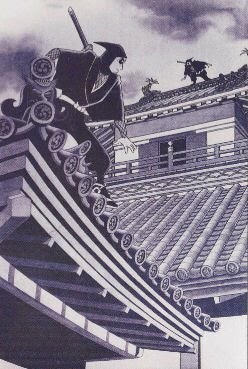 Sandayu’s son Kagemaru returns from a getaway in Kyoto, already knowing trouble is stirring. Having been beaten down, Sandayu asks Kagemaru to defeat the Koga Seven for him in order to aid Ieyasu and his journey through Iga onto Hamamatsu. Sandayu’s injuries are to much and he dies. 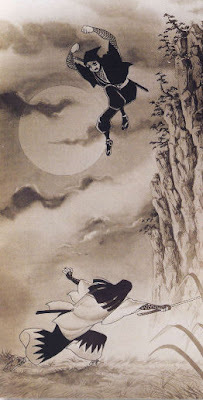 Kagemaru vows to carry out his father’s request to defeat the Koge Seven in his honor. Kagemaru enters his village in Iga in full ninja gear and confronts the Koga Seven. Each Koga member has a different ability or fighting style. 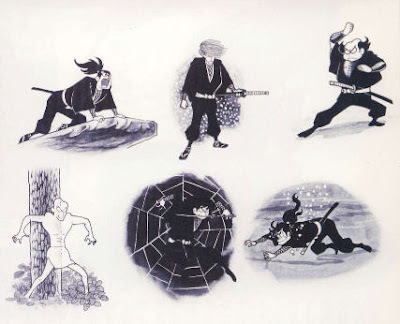 Jaki is a ninjutsu expert and has physical immortality, Jubei can camouflage him self like a chameleon, Kumomaru uses spider webs against enemies, Inumaru claws victims like a lion, Hansuke exhales a poison gas, Gorobei uses a grenade attack, and Handayu is a weapons expert. 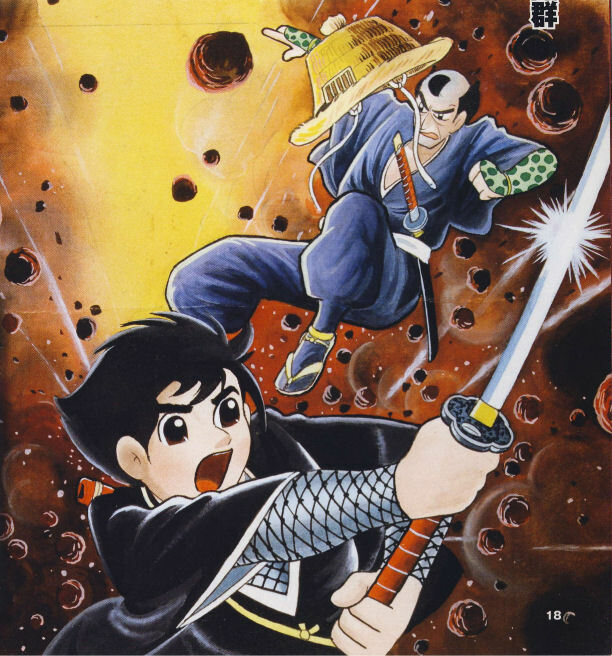 Kagemaru fights the Koga Seven with array of weapons and ninja magic, including a whirlwind leaf attack called Konaha Kakure no Sube (Art of Vanishing Leaves). Ieyasu finally arrives in Iga only to be attacked by Jaki and the Koge. Kagemaru helps Lord Ieyasu make safe passage through Iga, but has to kill Koge members one by one. 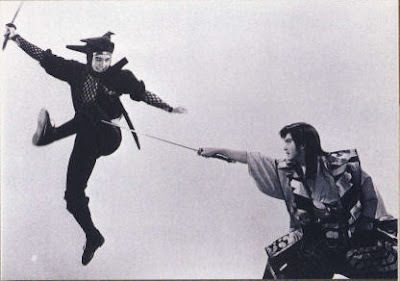 Kagemaru eventually runs into Amano Jagi in an inconclusive battle. 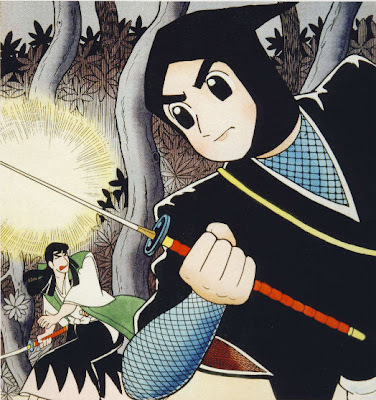 Jagi escapes, but Kagemaru is able to fulfill his father’s wishes by saving Ieyasu and granting him safe passage. The popularity of IGA NO KAGEMARU caused a ninja craze in Japan. 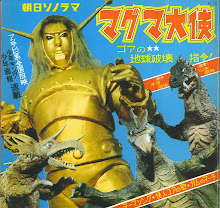 A puppet version was even made. Being a fan of THUNDERBIRDS and STINGRAY, I thought what the hell, Ninja puppets!!! How cool is that!!! 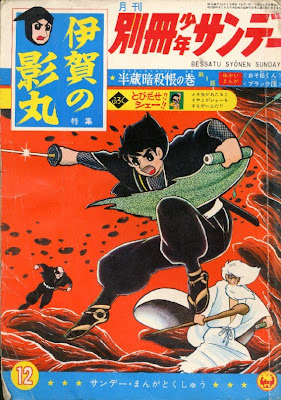 With the success of the film, Toei asked Mitsuteru to come up with a new ninja concept for TV. 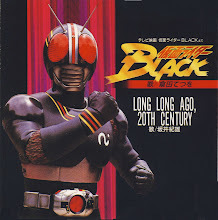 This is how KAMEN NO NINJA AKAKAGE (MASKED NINJA RED SHADOW) came to be. Prof G.- You know it!! 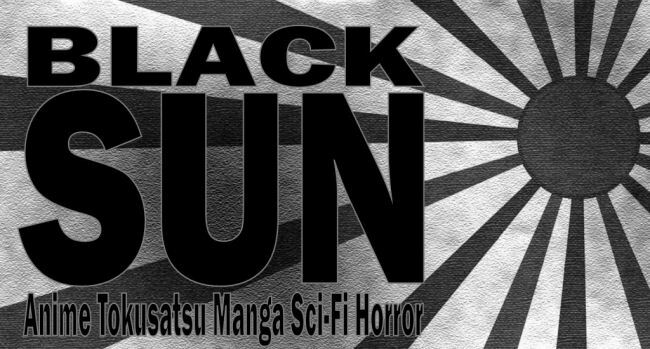 It's coming soon. 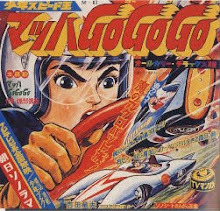 Shinobi Keith-I'm looking for that one. It will turn up sometime.